I don't get the reaction, truly. He wasn't great but he wasn't bad either. It's not news that he shouldn't play on the right and it's hardly his fault. He performed better than Lukaku, Rashford (an off day from him) and Pereira. Lingard showed that he is a better player at the moment in the time that was given to him though. To be fair i don't think anyones said it is his fault. Plus its only natural people will comment on the fact he often doesn't play well on the right wing and that it factors into a lot of his poor performances in what is after all his performance thread. Could have sworn he was heavily involved in the build up to both goals? Should play central. It's nothing new. He played very well in the deeper midfield role in the second half. When breaking down a parked bus, he's a really good option there. That's where I - and i'm sure the majority of people - would like to see him play from now on. The best facets of his game are his touch, quick passing/receiving and late runs into the box - all of which are best utilized in midfield. He's a massive liability there defensively. I wouldn't start a game with him there but when the game is all going in one direction he's a really good option. He needs bodies in front of him when he plays in that position so the game really suited him. Last night the game really was only one direction in fairness... they only had 6 shots, and both their goals should have been easily avoided. Last time he played there from the start was Chelsea... And he was excellent. Whoops, forgot about that one. In general though, he simply (at least for me) doesn't have the press resistance or physicality to be a good option in the middle of the pitch these days. He'll have good performances there every now and then, but he's bound to be found out if we persist with him there full-time. He's basically just as bad when playing centrally. Only reason he looked better for the last 15 minutes is because they had their whole team inside their own box and he didn't have the same pressing to deal with. Also had a few nice runs in the first half, but that was it. Not good enough. That's probably fair. Against Burnley at home he probably could play there. I just wouldn't play him there against anyone decent. With all of the games coming up, United need options in those midfield positions so giving Pereira a run is important. Oh definitely not - but then I wouldn't really want to play Pereira or Fred there against anyone decent at the moment (unless we had too). The angle was wrong for a left footer too. He put it in against Juve. So I was very hopeful. The problem is, one injury and they'll have to play one of them. It's really important that Pereira and Fred play themselves into form over the next few weeks. Agree with all of that. Should definitely be an option in central midfield in home games where we're expected to dominate. People being OTT on the Caf? Madness! Seriously though, people have already made their minds up it seems, so unless Mata scored last night, this was always going to be the response. Doesn't really matter that he played well, because that doesn't fit the already established narrative. If Fred had come on and played like Mata had in the last 30 minutes, people would be wetting themselves. Mata was incidentally the one who created the most chances for us yesterday, according to the stats. Either start him besides Pogba with Herrera as DM against teams that will park the bus. Or bring him on as a late sub when we need a goal. After the substitution he was much better, which is somewhat obvious when the last few years of evidence shows him excelling when played centrally with pace/movement around him. He had more space to work with because Burnley were clinging on. He shouldn't be near the team as his pressing isn't good enough. This is his 3rd start ffs! And in the 1st game, we played our 2nd side and had 9 changes! And which instances under Mou? Thats why i said the words most and not all. We definitely play better when hes not in the team. 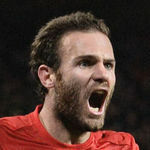 If Mata had any kind of positive physical attributes he would be one of the best players in the world. As he has the body of a malnourished toddler it hinders his ability to effect the game. He is a player who desperately needs to reassess his position on the pitch and how he plays the game, because he isnt a winger, or wide mid, and he isnt physical enough to play as an attacking midfielder. What is the defination of role player? Just put him in the game doing nothing, and it means already giving key players a rest? We need quality, we need continuous contribution to the team, not still dreaming the free kick goal vs Juventus on November, which is almost two months ago. Fellaini scored a goal against Young Boys on November to secure our place into Group 16 as well, but no one mentioned it, and many fans can't wait to sell him. Similar stories, different treatments. Nice Job! Before we can find excuse Mourinho didn't know how to use Mata, but now Ole and Mike Phelan still can't save his performance, there must be some problems with the player. Don't always blame on the managers and fans who criticize him. Time to admit the truth. If not, the gap between Man City, Liverpool and us will become larger and larger. Look at their quality of the role players, look at what Liverpool did for the last transfer window, improving the quality and depth of their squard, now they already have the ability to challenge the English Premier title, and we still have many problems of different positions, such as RW, MC, CB, and FB, cause we always stuggle to keep number of useless players. Mata has excellent ball technique and movement too. But there is a huge liability that is his physique. Because he is so slow, his movements are telegraphic. Defenders do not need to anticipate his movements. They can wait for him to start his movements before they even start to cover him. He also gets tackled very easily. People talk about him being good in a game which has one way traffic but it's in these kinds of games that he tries to orchestrate things from midfield and gets caught. Remember the Huddersfield game? The PL has moved passed Mata and there is no position that he can play that United doesn't have a better player that him. He should listen his heart and join one of Spanish giants next summer . He is not good, it is almost painful. Please we need a proper right sided attacker. wondering if the 3rd goal assist goes on this name or not ? we got penalty because of him means he should be credited with an assist? put money on his assist but willhill made that bet as lost..could some one clarify? The Premier League counts it as an assist. Whether the betting companies do I'm not sure. When a goal is scored direct from a free-kick or via a penalty, the player who drew the foul will gain an assist. He was perfectly good today. The absolute state of this thread desperate to criticise/crow about being right. Have a day off you miserable clowns. His physicality is not good enough. It's like he's a spirit. Its sad but anytime he gets the ball its a trigger point for the opposition to press because they know he can't keep hold of it. Need to move him on and get a WC right side attacker. Fantasy premier league you mean? I am pretty sure winning a set-piece is no assist. Yes we would be better off with a proper right winger in a match that Ole made a purpose decision to make 6 changes & rotate the squad for duh. Mata is not a main player for us anymore & everyone knows that - if someone wants the guy then I'm sure he will be given the freedom to go but if he doesn't he is still a decent enough player to occasionally play a match for us because he has his uses. Not everything has to be 100% all the freaking time. Our need for a RW has absolutely nothing on Mata - such a poor view on things. He goes sideways almost all of the time because of where he's recieving the ball and his lack of pace and strength to do anything with it other than dispatch it quickly to the nearest body if any oppo player is near him. I see the odd Mata fanboy ride in and blast everyone but he's just not good enough anymore and not suited the high pressing style we are trying to introduce. It's odd for a player who never had athleticism you would think he'd do well as he got older. But all his weaknesses have seemed to come to forefront this season. Need a right wing option desperately. So what’s your point? There have been many points in the season where many have pointed out exactly what I said. Yea we won 3-0 but our right wing was impotent. You might be happy with the situation but I’m not. No top tier title winning team would play Mata on the right flank. Mata plays in the RW position, so obviously it does. You haven't got a clue what you're waffling on about. Right and you do because Mata is our RW against Fulham? You are just waffling about the most obvious stuff - about how Mata should not be our RW in the future (is that really something that needs to be discussed) & complaining about how we need to sell him & get a replacement. We played a makeshift team - I'd argue our Plan C team - & won a game with Fulham with ease by actually dominating them. Complaining about Mata playing every game as our RW against every opposition is one thing - but complaining about Mata playing a agem at RW against Fulham where we won with ease is just you trying talk about anything purely for the sake of it.